A wonderful gift for that special baby. Brings a touch of spring to the nursery! Carefully made by Amish grandmother. Lovely collection of pastel fabrics. Includes a sleeve for a hanging rod. 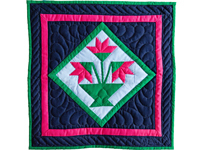 A classy little quilt! The perfect size to fit anywhere. Wonderful use of colors. 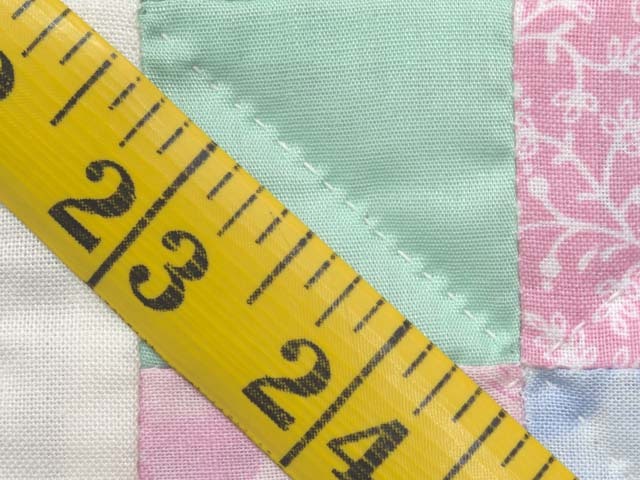 Superior piecing and hand quilting. 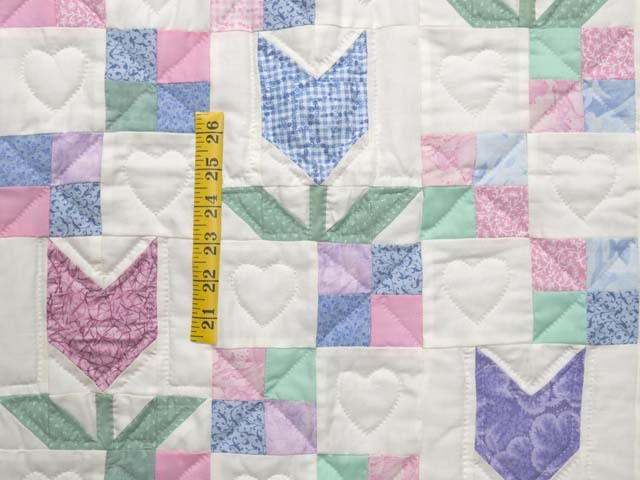 The top was designed and pieced by an Amish woman from northeastern Indiana and quilted by an Amish neighbor. The initials of both it's makers are quilted into the border design in the bottom right corner. Includes a sleeve for a hanging rod. Can be custom made in the colors of your choosing. 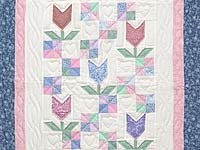 A bright little quilt of tulips is the perfect gift to cheer someone's day! The perfect size to fit anywhere. Wonderful use of colors. 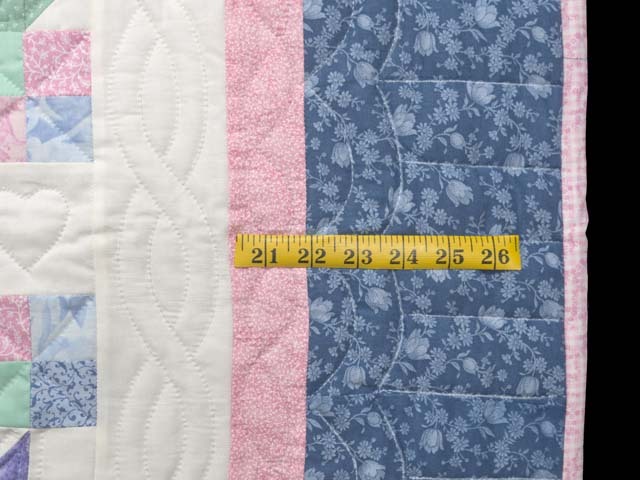 Superior piecing and hand quilting. 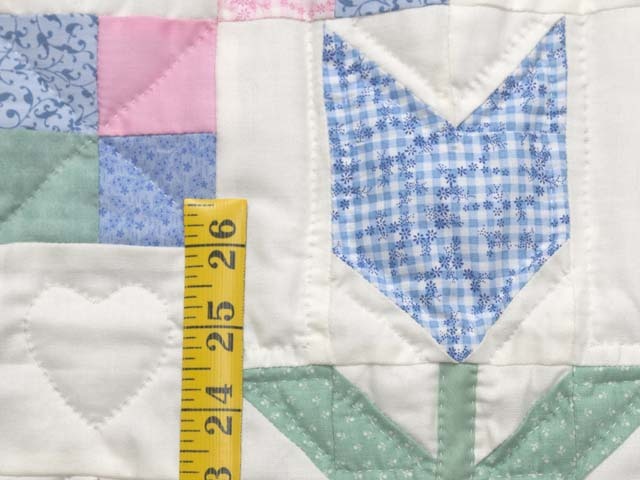 The top was designed and pieced by an Amish woman from northeastern Indiana and quilted by an Amish neighbor. 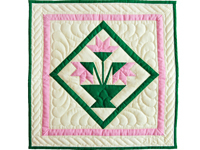 The initials of both it's makers are quilted into the border design in the bottom right corner. Includes a sleeve for a hanging rod. Can be custom made in the colors of your choosing. 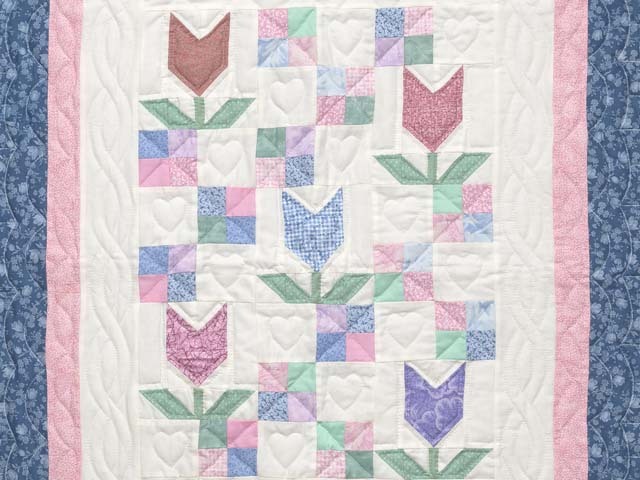 A bright little quilt of tulips is the perfect gift to cheer someone's day! The perfect size to fit anywhere. Wonderful use of colors. 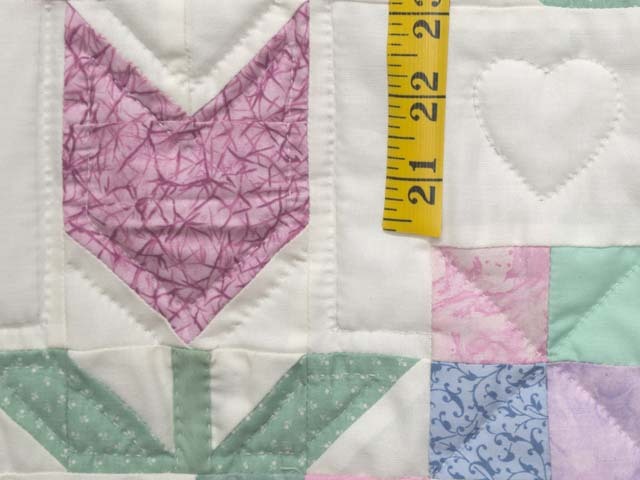 Superior piecing and hand quilting. 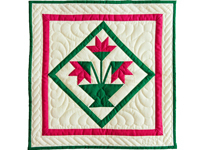 The top was designed and pieced by an Amish woman from northeastern Indiana and quilted by an Amish neighbor. 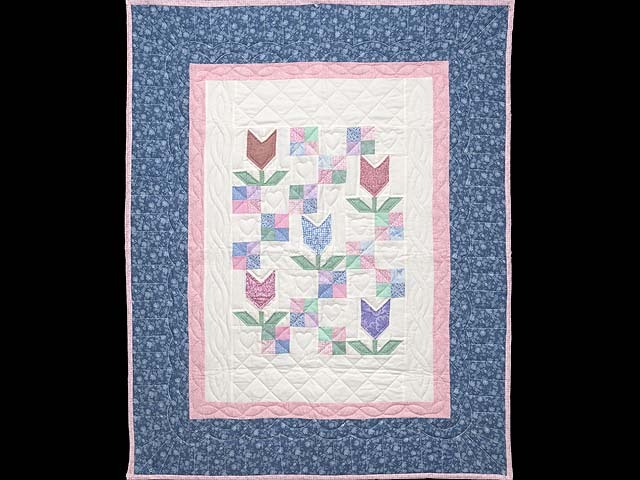 The initials of both it's makers are quilted into the border design in the bottom right corner. Includes a sleeve for a hanging rod. Other colors available or can be custom made in the colors of your choosing.